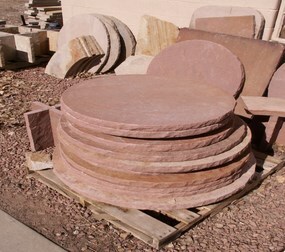 Whether you are searching for custom landscaping stones, paving stones, or something completely unique, we have the natural stone to transform your space into something awe-inspiring. 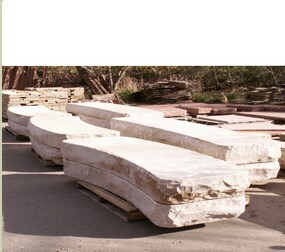 At LOUKONEN BROS. STONE have a very skilled staff of experienced stone cutters, they have the ability to produce the special needed natural stone products that our customers request. Once you have decided what you want, contact us and we can work together to develop a plan for creating your custom stone project. 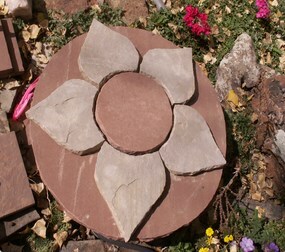 All you need to do is provide us with a drawing, template or design and we will take care of creating your one of a kind stone! If you live in Longmont, Boulder, Denver, or anywhere else along Colorado's front range, contact us today for your custom work. 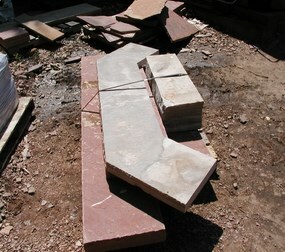 Size: Random sizes that range from 1″ to 10 ft.
Types of cuts: Snap-cut, Saw-cut, Hand Faced, Waterjet. 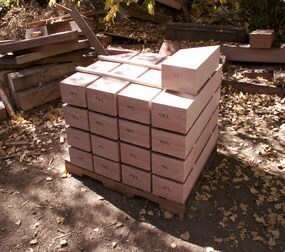 Types of Surface: Natural Cleft, Honed, Polished, Bush Hammered. RED-Most materials are a red base color and range from pink to orange to terra-cotta. 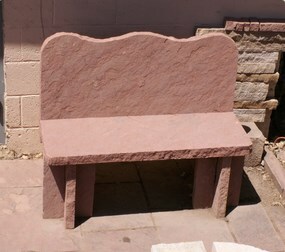 BUFF-Light gray based sandstone that ranges to grays, tans, and browns.